The Duke of Sussex visited the YMCA South Ealing to learn about the organisation's work on mental health and homelessness. While there, he observed a group of six-year-olds taking a ballet class. 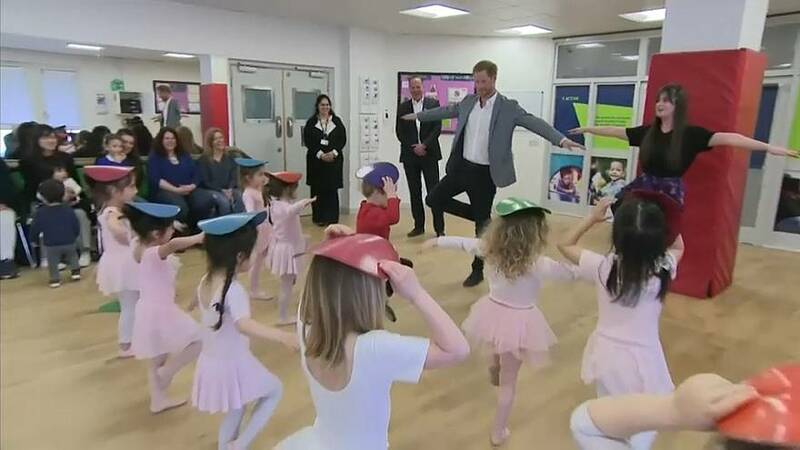 The royal even attempted to join in with the children by participating in a balancing exercise. The room's youngest attendee caught his attention too, a three-month-old baby girl. Harry knelt down to speak to her mother and asked if she's sleeping through the night.